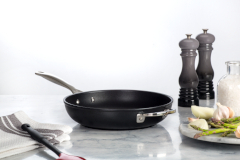 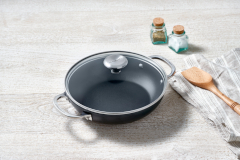 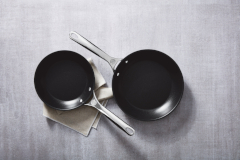 Designed for a wide range of recipes and ingredients, Le Creuset Toughened Non-Stick pans deliver unsurpassed non-stick performance with a proprietary, PFOA-free, triple-layered reinforced coating that will never peel or flake during use. 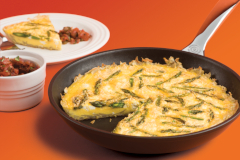 The hot-forging process also prevents warping and facilitates consistent heat distribution, making the range as ideal for omelettes and souffles as it is for searing fish and poultry. 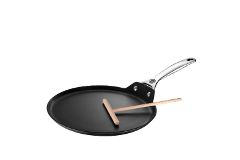 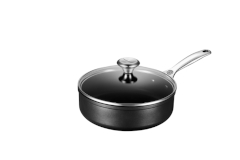 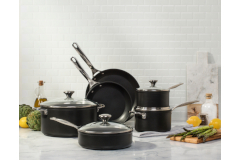 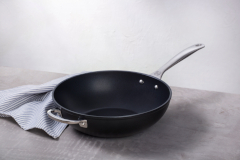 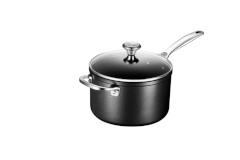 This cookware's patented nonstick coating releases food easily for quick, simple clean-up.